This Little Girl Went Missing In 2007. How Did She Disappear? It's been over 9 years since little Madeleine McCann went missing during her family's vacation in Praia da Luz, Portugal. The heartbreaking story is one that's been called the "most heavily reported missing-person case in modern history." 3-year-old Madeleine was on holiday vacation with her parents, Gerry and Kate McCann, and her younger twin siblings, Sean and Amelie, in Praia da Luz, along with another group of family friends and their children back in May of 2007. Madeleine and the twins were put to bed and left asleep in the apartment at 8:30 pm, while Kate and Gerry and their friends were having dinner 160 feet away in a tapas restaurant. Kate checked on the children to discover Madeleine missing an hour and half later. In the beginning of the case, the McCanns were declared as suspects after a misinterpretation of DNA analysis that showed Madeleine died in the holiday apartment. The parents were later cleared by Portugal's attorney general. Madeleine's disappearance was covered internationally by newspapers, tabloids, and television stations. The government reported in June 2015 that the search to find Madeleine had cost in excess of £10million. 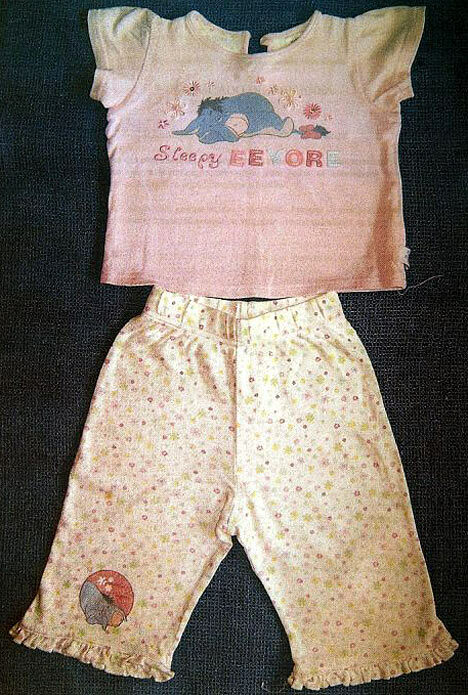 Madeleine was left sleeping in her pink Mark and Spencer's Eeyore pyjamas similar to the ones pictured here. She was also holding her toy Cuddle Cat and comfort blanket. The family stayed at 5A Rua Dr Agostinho da Silva on the ground floor in a two-bedroom apartment. The three children were left asleep in a bedroom next to the front door as their parents dined with their friends at a tapas restaurant 160 feet away. The village of Praia da Luz has a population of only 1,000. Surely, someone would have spotted the little girl. This was the very last photo of Madeleine taken beside the pool at the resort where the family stayed. Mother Kate snapped the last photo of Madeleine sitting next to her younger sister Amelie and her father, Gerry.